The Arkansas Symphony Orchestra under the direction of Philip Mann, Music Director and Conductor, presents the fifth installment in its 2013-2014 Stella Boyle Smith Masterworks Series: Verdi’s Requiem on March 1st at 8 p.m. and March 2nd at 3 p.m at the Robinson Center Music Hall. The concert is sponsored by Aristotle. 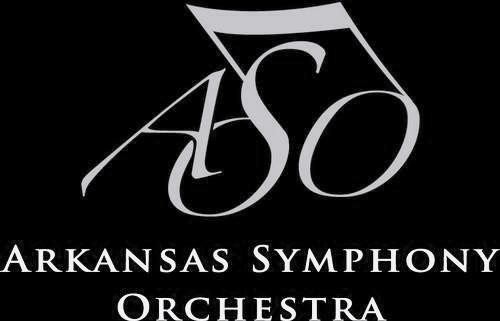 Tickets are $14, $30, $47, and $53; active duty military and student tickets are $10 and can be purchased online at www.ArkansasSymphony.org; at the Robinson Center Music Hall box office beginning 90 minutes prior to a concert; or by phone at 501-666-1761. All Arkansas students grades K-12 are admitted to Sunday’s matinee free of charge with purchase of an adult ticket using the Entergy Kids’ ticket, downloadable at the ASO website. The Requiem (in part) began life as a part of a collaborative work in Gioachino Rossini’s honor when he died in 1868. Though the work faltered just prior to its premiere, Giuseppe Verdi continued to work on his section of the piece, Libera Me. Upon hearing of the death his hero, Italian writer Alesssandro Manzoni, Verdi was moved to complete a Requiem, which included a version of the Libera Me originally composed for Rossini. The work was premiered in Milan in May of 1874 under the baton of the composer. The Requiem is noted for its operatic techniques, allowing Verdi to express the powerful emotions of the text. The Tuba mirum, featuring brass with quadruple-fortissimo markings, the memorable tenor solo of the Ingemisco, and double chorus combine for a work of extreme contrasts in emotion, imagery, and volume. All concert ticket holders are invited to a pre-concert lecture an hour before each Masterworks concert in Room 102 and 103 of the Robinson Center Music Hall. These talks feature insights from the Maestro, ASO guest artists and musical examples to enrich the concert experience. The Arkansas Symphony Orchestra celebrates its 48th season in 2013-2014 under the leadership of Music Director Philip Mann. ASO is the resident orchestra of Robinson Center Music Hall, and performs more than thirty concerts each year for more than 42,000 people through its Stella Boyle Smith Masterworks Series, ACXIOM Pops LIVE! Series and Parker Lexus River Rhapsodies Chamber Series, in addition to serving central Arkansas through numerous community outreach programs and bringing live symphonic music education to over 24,000 school children and over 200 schools. This entry was posted in Music and tagged Arkansas Symphony Orchestra, Giuseppe Verdi, Philip Mann, Robinson Center Performance Hall by Scott. Bookmark the permalink.